Pittsburgh, PA, October 27, 2018 — CeaseFirePA is saddened and horrified by today’s mass murder at Tree of Life Synagogue in Pittsburgh. So far, we know that at least eight people have been killed, with others shot and injured, including three police officers. We have also learned the killer was armed with the mass shooter’s weapon of choice, an AR-15, along with several handguns. 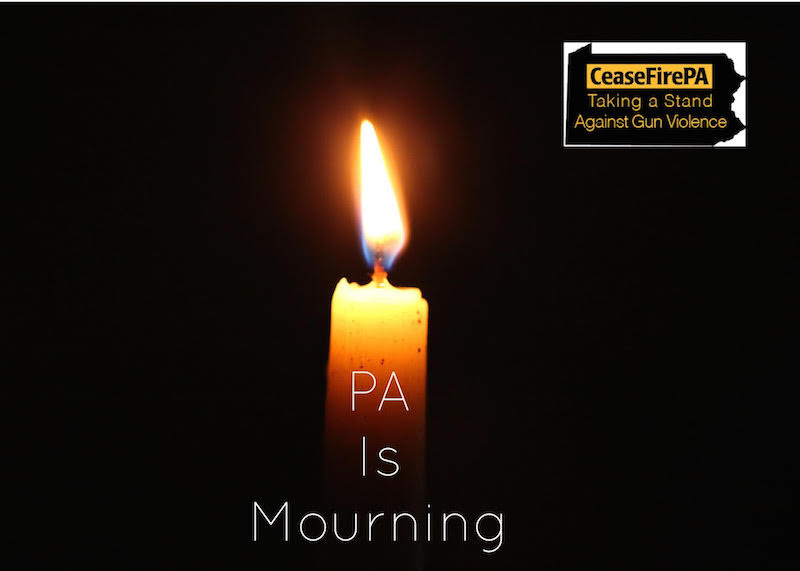 CeaseFirePA has staff on the ground in Pittsburgh and will be there to stand with the community. We know that this should not be a new normal. And we stand with Pennsylvanians across the Commonwealth demanding that our policy makers demonstrate the will and commitment to keep us safe.